Every race in the Virgin Australia Supercars Championship has the grid order decided by ARMOR ALL Qualifying, and at selected events the ARMOR ALL Top Ten Shootout and at the Sandown 500 only, the ARMOR ALL Race for the Grid system. These sessions determine the ARMOR ALL Pole Position winner who will start the race from grid position number one. 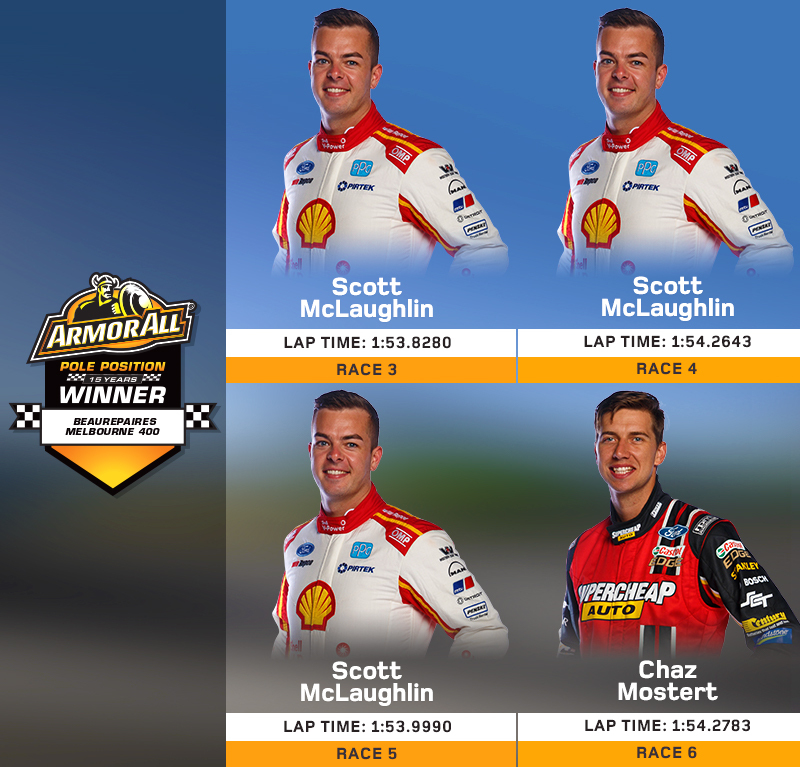 Keep track of every ARMOR ALL Pole Position winner in 2019 on this page.